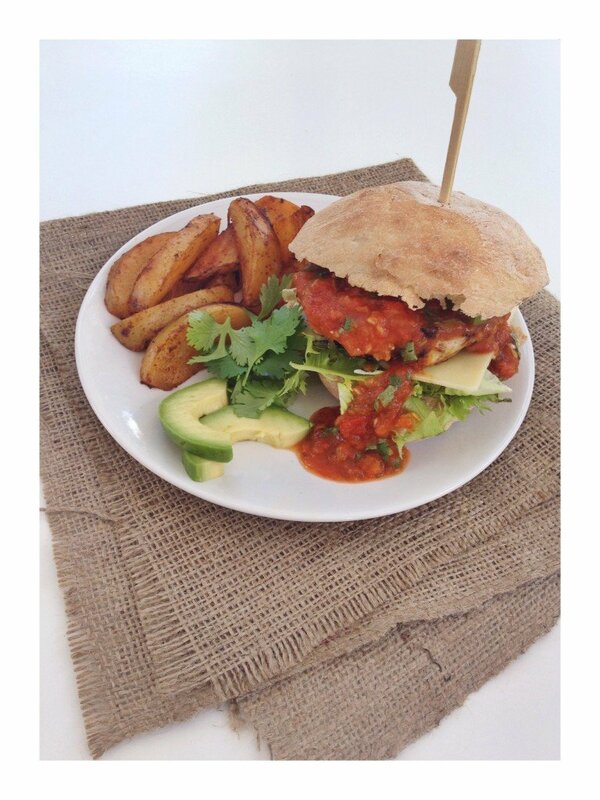 Sweet and juicy turkey burger with smoked paprika wedges. 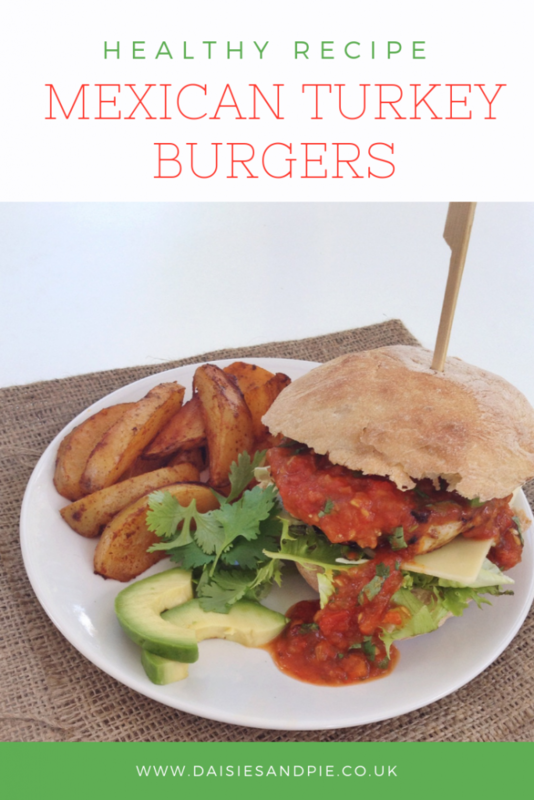 Delicious, healthy homemade turkey burgers with a fruity Mexican twist. The turkey burgers have only three ingredients – turkey mince, Mexican marmalade and a pinch of salt. Yes! Mexican marmalade you read it correctly! I can’t get enough of the Mexican marmalade made by the fab little company In a Pickle. Spread thickly on hot buttery toast, scooped up with a celery stick and now it’s found its way into my burgers. The Mexican marmalade is a spicy orange marmalade with ginger and chillies it makes a really tasty addition to the burgers and the sugar caramelises as they cook so the burgers turn a lovely sticky brown. If you can’t get hold of the Mexican marmalade then use orange marmalade and a pinch of chilli flakes or mango chutney. The turkey burgers are super simple to make – open the meat bag/pack – tip in the marmalade and a pinch of salt, mix together with your hands and form into patties. Done. Just griddle or grill and serve. I like to serve these burgers with a nice homemade Mexican roast tomato salsa, sliced avocado and Monterey Jack cheese all tucked up in a freshly baked ciabatta roll. Deliciously juicy turkey burgers - moist, tasty and so quick to make. Open turkey mince packet - tip in the Mexican marmalade and pinch of salt and mix well with your hands. Form the meat into 4 patties. Cook on a medium hot griddle pan for around 10 - 15 minutes until cooked through with no pink remaining. Whilst the burgers are cooking split the ciabatta rolls, put on a handful of lettuce leaves and slice of Monterey Jack cheese. Once burgers are cooked - add the burger on top of the cheese, top with sliced avocado and a spoonful of salsa - squash on the lid. Nice served with a portion of potato wedges. A delicious easy family recipe – one to pop in the meal plan!